We are always looking for innovative ways to change our business model and adapt to challenges such as rising fuel costs and congested roads. While making our trips from the coast to Portland, we kept seeing the “cow” buses making the same trip. 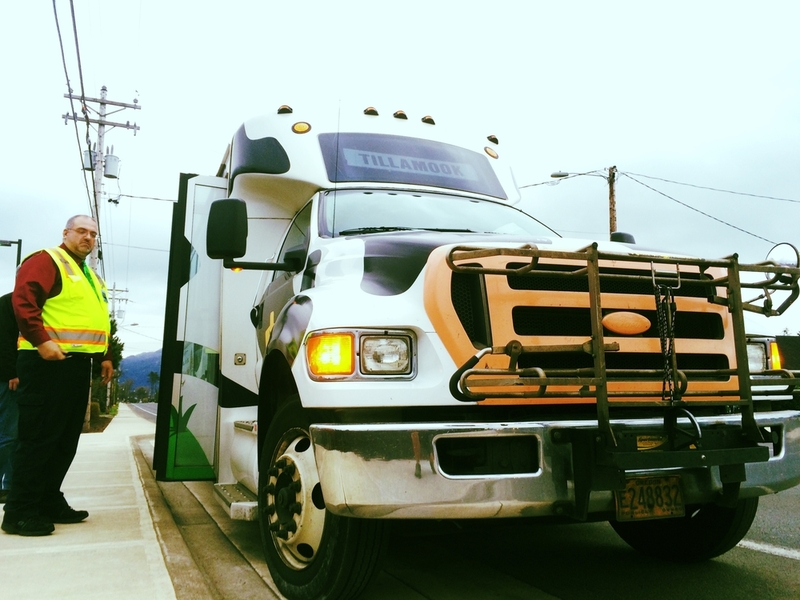 Out of curiosity, we approached the Tillamook County Transportation District and inquired about putting our products on their buses. Two years later, we are under a special operating agreement which allows us to put a small amount of our product on the Portland bus and allows for us to get our fresh seafood to our Portland based food cart and also to select customers. This is another example of how, whenever possible, prefer to use existing infrastructure and form partnerships that benefit bot our customers and our community. Doug Pilant - General Manager at County Transportation District. It’s a cow, it’s a bus!